From the outside Fu-Lin looks like a big box. In back there’s a large parking lot and an entrance. The interior, while dated, is nicer than I’d expected with Chinese prints, a relief mural and windows letting in a lot of natural light. 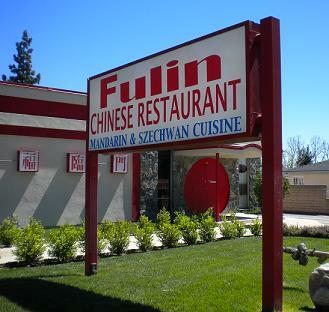 Fu-Lin, which opened in 1990, has the usual Mandarin and Szechuan dishes, as well as Chinese American standbys like chop suey and egg foo young. 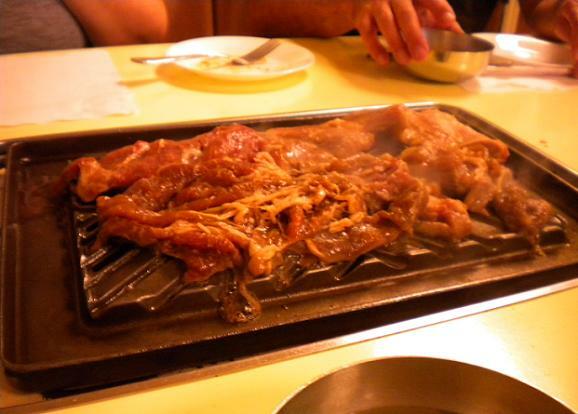 But according to a Korean American friend whose family loves the place, there’s a subtle Korean tinge to the menu. You can get a cold combination, ja jiang myun or ya kki mandoo. It was only after leaving that I noticed at least some of the lettering on the exterior is in Korean. The lunch specials, available every day but Sunday, are all priced between $4.25 and $5.50. 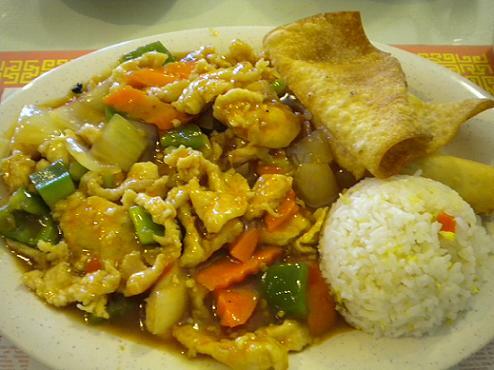 I had garlic chicken ($4.65), which turned out to be steaming hot and fairly spicy. This came with a dollop of rice, two wontons, an eggroll and a cup of hot and sour soup. For $6 with tax and tip, this was a filling lunch, and better than expected. Yelp reviewers seem of two minds about the place, unable to agree on whether it’s great or terrible. Quality-wise I’d compare Fu-Lin to Rancho Cucamonga’s China Point or Upland’s China Gate, two other old-school Chinese American restaurants. Fu-Lin was busy; even at 1:30 on a weekday, 12 tables or booths were occupied with some 30 diners, many Latino and some Asian. Fu-Lin must be doing something right. No foolin’. 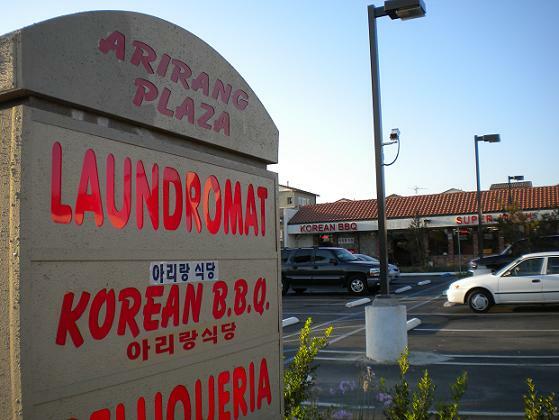 Located in a small, nondescript industrial park, Three Anas doesn’t promise much. 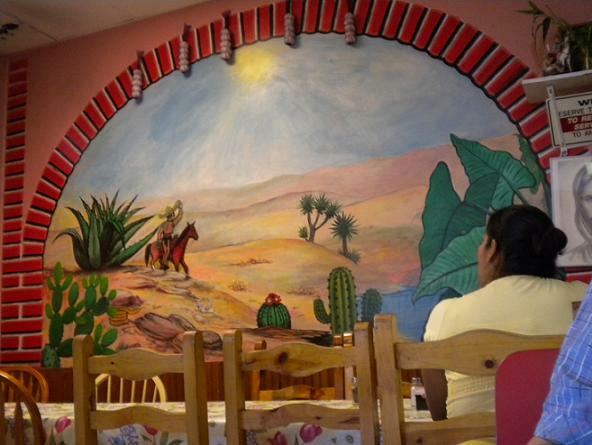 But then you step inside, notice the two colorful murals and learn you order at your table, not the counter. There are other homey touches: a Wall of Fame by the door in which regular customers’ photos are posted and a stack of magazines for solo customers’ reading pleasure. Our server cheerfully explained the origin of the Three Anas name: That’s what their father called Ana, Julianna and Joanna, the three sisters who own the restaurant. 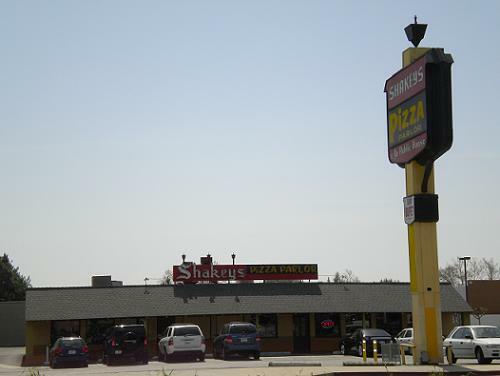 It will mark five years in business on Oct. 1. Our table ordered steak picado ($7.50), which was pleasingly dry, not soupy; the special burrito ($4.50) with potatoes, carne asada, onions and peppers; and the chile relleno and chicken enchilada plate ($7), served wet with green sauce, plus rice and beans. They were all solid, satisfying versions. Three Anas “rivals Mi Pueblita,” one of our group said admiringly, referring to the popular Upland restaurant. You have to like a restaurant run by three sisters, especially when the experience delivers so much more than the location promised. A hidden gem. 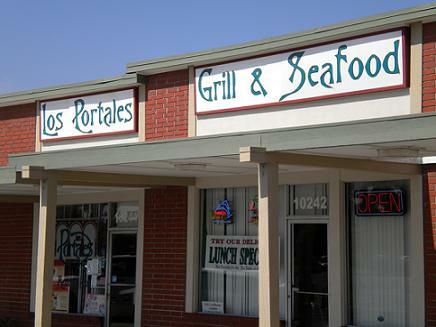 I’d seen Los Portales for ages in the strip center behind the estimable Cafe Montclair, but hadn’t yet gone in. That is, until looking for a new place to eat before Monday’s Montclair council meeting and finding most restaurants on Central closed, Mondays being what they are. Los Portales it is! I was pleasantly surprised how large the interior is and how nice it looked. There were at least four dining rooms and the one where I was seated had banquette seating, those wooden booths with high backs. Chips, salsa and a menu were quickly delivered. The place was moderately busy. The menu has plenty of seafood and steak dishes in the $10 to $15 range. Not having time to linger, I opted for the fish taco plate, grilled ($9.95). The two tacos had at least an entire filet between them, more fish than Rubio’s would put in a half-dozen tacos, plus some cabbage, diced tomatoes and cilantro on corn tortillas. Double tortillas would have made the tacos easier to eat, but I felt like I got my money’s worth. The plate also came with beans and rice. A horchata ($2.25) washed it down well. 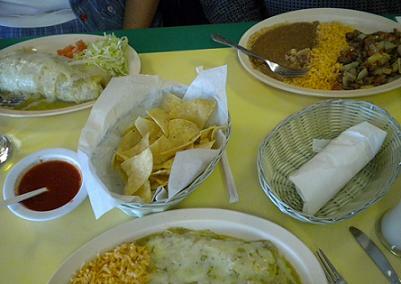 My first impression of Los Portales is positive and it may be one of the valley’s better Mexican restaurants. Anyone else been there? Do any of you know the location’s history?